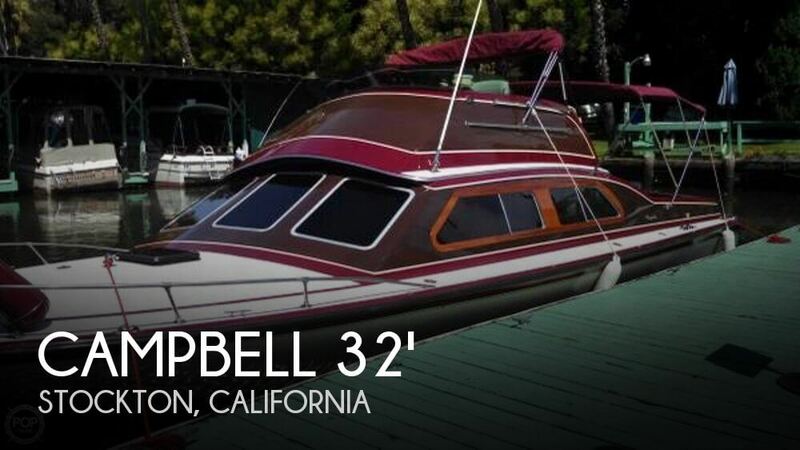 The Seller of this fantastic example of Campbell quality full restored the boat to the tune of over $150k. Some recent service in 2015... a new bottom coating, a complete engine service, and the trailer was outfitted with new tires and bearing. Engines were serviced summer of 2018. In 2017 a new distributor, plugs, valve covers, and batteries were installed. Both Props were rebuilt in June 2018 which really increased performance per the seller. Stock #092555 Style and Grace in a Qullaity Campbell. This Gorgeous Boat was fully restored. Take a look!! If you are in the market for an express cruiser, look no further than this 1978 Campbell Flybridge 32, just reduced to $49,500 (offers encouraged). This vessel is located in Stockton, California and is in great condition. 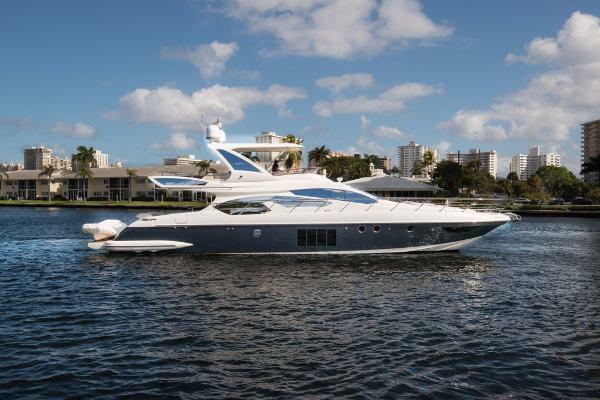 She is also equipped with twin Custom engines that have 380 hours. 1989 Bertram Flybridge Cruiser This big volume 45' BERTRAM FLYBRIDGE CRUISER has been undergoing serious professional refit of equipments, maintenance and upgrades: Bow Thruster, Stern Thruster, New Davit, New Tender, New Interior Cosmetic, New Interior Flooring, Complete Engine Serivce, New Electronic, Gelcoat Treatment every 6 month, Custom canvas with all round clears etc... 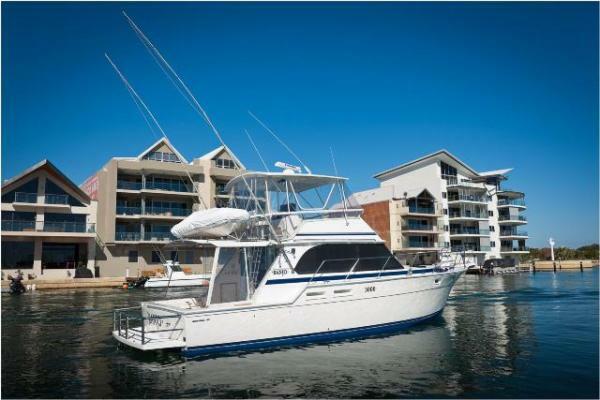 This is the ideal unit for coastal cruising or fishing. AV 10VL inflatable with cradle, 15HP Parsun Outboard 2 Stroke, 400KG Electric Davit, Teak Decked Cockpit, Table with Chairs, Teak Ladder Steps... Powered by Dual 550HP Detroit 6V92 TA's engines with only 1100 hours and completely serviced, this is the best Bertram 45' Cruiser WORLDWIDE!!! Custom made benches that fold up out of the way for engine access feel solid and look nice. Custom made captain's chair with storage and footrest with teak trim is a nice touch. Some cosmetic issues need attention. Carpet in salon and on stairs needs to be cleaned or replaced. Head door needs repair at doorknob. Flybridge seating needs to be reupholstered. Bulkhead to port of entry door needs some repair. Bimini needs to be replaced. Stock #158078 Good Shape, Mechanically sound. Ready for the next adventure. 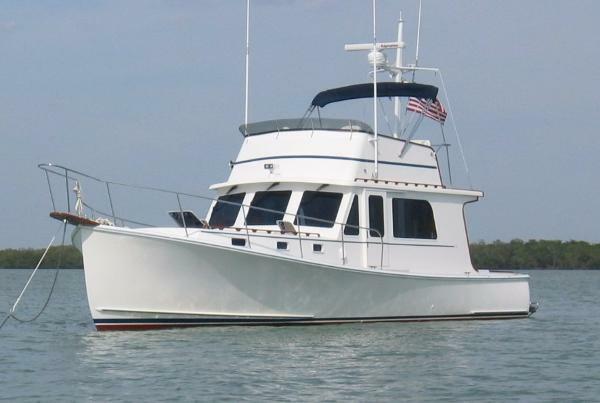 If you are in the market for a sportfish/convertible boat, look no further than this 1977 Bertram 33 Flybridge Cruiser, just reduced to $18,500 (offers encouraged). 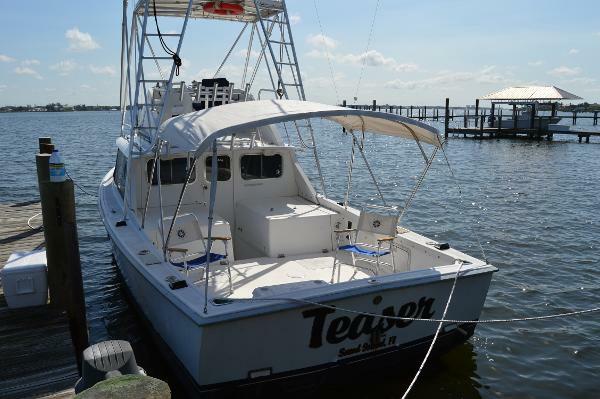 This vessel is located in Tracys Landing, Maryland and is in great condition. She is also equipped with twin Crusader engines that have 1,186 hours. Reason for selling is downsizing. 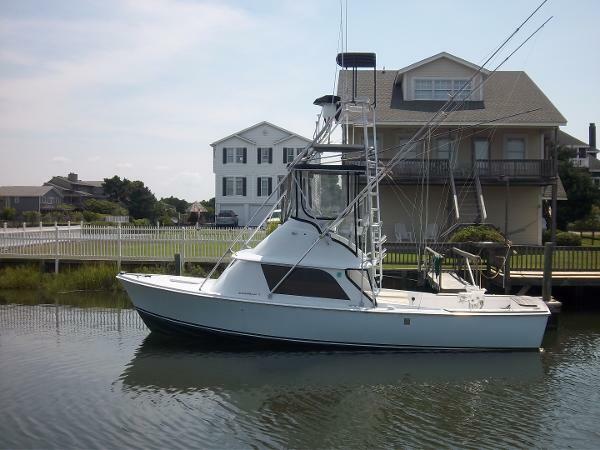 1975 Bertram 28 Flybridge CRUISER Turn Key Ready • Priced to Sell (LOCATION: Toms River NJ) The Bertram 28 Flybridge Cruiser is a classic deep-V fishing boat that has never been equaled in popularity with offshore anglers. Nearly three thousand were built over the long production but you will have to look long and hard to find one as well maintained as this one. 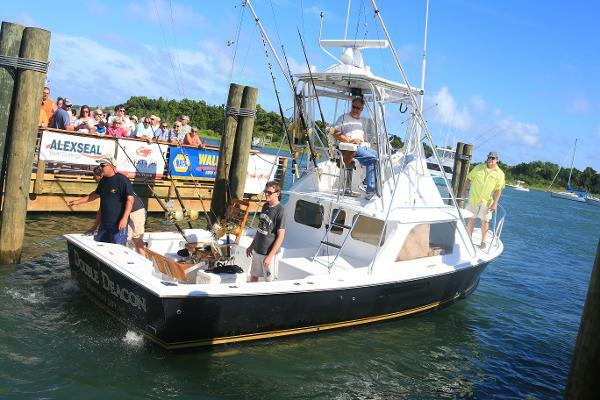 Large enough for comfort and small enough for easy maneuvering, this fisherman provides an affordable cruising alternative. 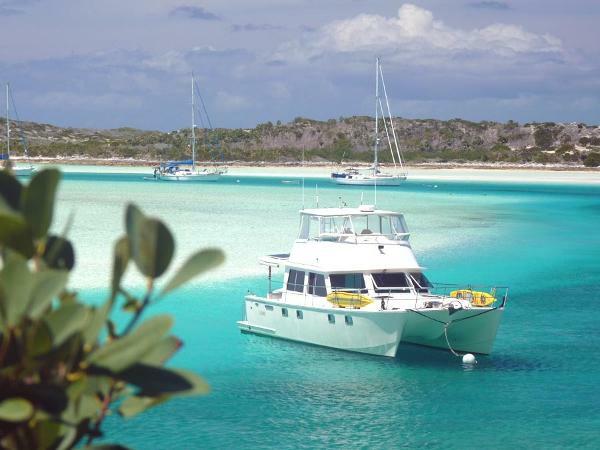 The flybridge features forward helm station, custom radar arch, bimini top, and full enclosure. The helm is well equipped and enjoys a 360º view. To get you there and back this Bertram is equipped with Furuno 1850 DF / FF / GPS / map with 5.6" color LCD display, Furuno M821 radar with 8" color LCD display, and VHF marine radio. For background music, news, and weather there's an AM/FM stereo. For fishing there is a set of rocket launchers, center rigger, and a pair of outriggers. The Bertram 28 features a large, 85 square foot, cockpit with pedestal, rigging table, fresh & salt water washdown, and teak swim platform. There's more than enough room to fish, relax, or celebrate a good day of fishing. The cabin is bright with lots of natural light. Port side is a booth-style dinette that seats four and sleeps two. To starboard is a compact galley and enclosed head compartment with toilet and sink. For overnight trips and afternoon naps there's a forward v-berth with under-berth storage. Maintained to high standards this Bertram 28 is powered by a pair of 225 horsepower Mercruiser engines. One is original with around 1200 hours of use while the other was replaced in 2002 and has 225 hours. She has maintained her classic good looks and will continue to look good and run well for years to come. Call now and schedule a showing of this very affordable Bertram 28 Flybridge Cruiser. 1978 Bertram 31 Flybridge Cruiser Perhaps no boat in power boating history has equaled the worldwide popularity of the original deep-V - the Bertram 31. 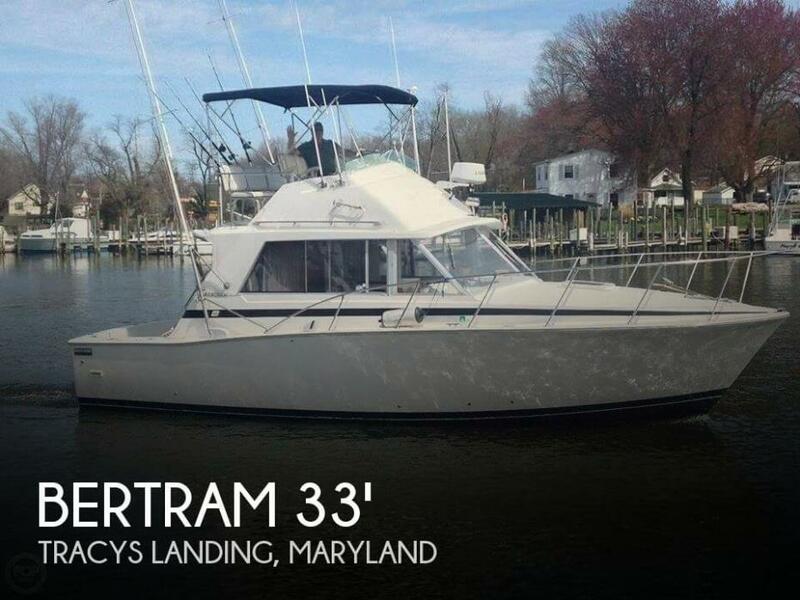 Key to the continued popularity of the Bertram 31 on the used boat market is her legendary rough water sea keeping ability and her rugged construction. 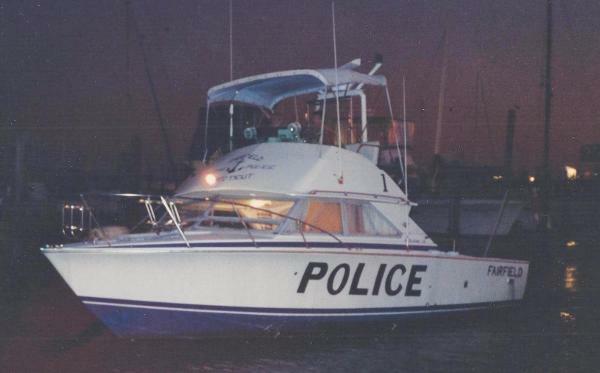 The last Bertram 31 was built in 1986, yet the iconic design remains popular and many continue to be refurbished. The Double Deacon was completely restored in 2010 and re-powered with Yanmar diesels - just over 500 hours. The boat was taken down to her bare hull and was re-wired and re-plumbed. A new fuel tank was installed and she features a fiberglass cockpit deck and a transom fish box. Further, the Double Deacon features a custom teak interior, custom flybridge with single lever controls, and a diesel generator. She has air-conditioning and heat. She was fully painted and has a half-tower and hardtop. Further, spray rails were added to her bottom and she is much drier than the traditional Bertram 31. The Double Deacon is a must see! Save yourself time and money - buy one that has already been refurbished. 1974 Bertram 31 Flybridge Cruiser 1974 Bertram 31 FLYBRIDGE Full custom tuna tower with palm beach controls. Repowered in 2007 with New Crusader 6.0 375 hp Fresh Water Cooled Engines. She has been very well maintained by her current owner and it shows. Not only is she beautiful and ready to go but has been priced to sell Nothing in power boating history has equaled the worldwide popularity of the original deep-V 31 Bertram. Key to the lasting popularity of these boats is her unsurpassed rough water sea keeping ability and her rugged construction. The spacious cockpit is free of obstructions, and the cushioned engine boxes make a great place to sit and watch the baits. She has the open aft bulkhead preferred by fisherman. While the cabin is hardly plush, the accommodations are comfortable and efficiently arranged with bench seating to the port and starboard. The V-berth forward has a privacy door. She is in excellent shape and has been a proven fish raiser! Hurry!! 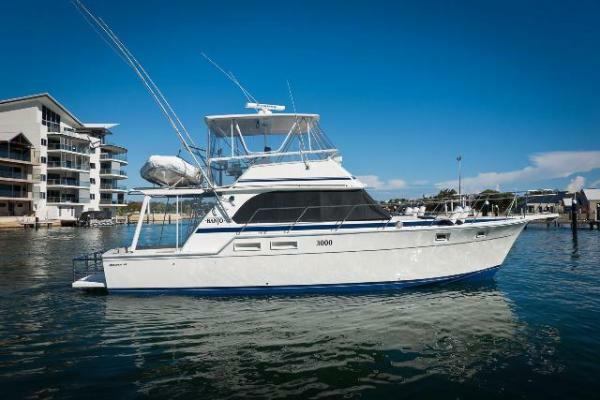 1980 Bertram 31 Flybridge Cruiser Fresh to the market with great updates. 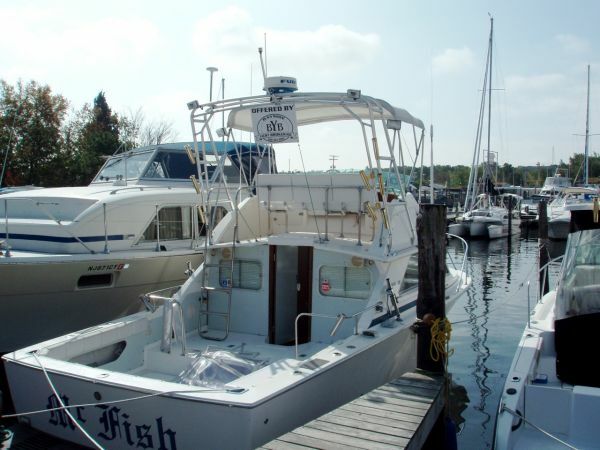 This vessel has newer Yanmar 250hp 6 cylinder diesels with 2300 hours, Twin Disc transmissions, full tower with upper station, Garmin, Raymarine and Furuno electronics, EPIRB, Bait tank, SeaStar steering was recently installed for reliability. 6 cyl. Yanmar diesels 250H.P. , custom Rob Sherman full tower, new Hydraulic steering both helms , new cockpit deck with custom aluminum access hatches. New paint on fly bridge. Fresh bottom job. Radar , bottom machine, GPS. Custom side windows. Teak and Holly sole inside. Live well plumbed with pump. New salt water wash down pump. This is a good original boat that needs a little TLC to make her a show boat, but she is perfect and ready to go for charter. 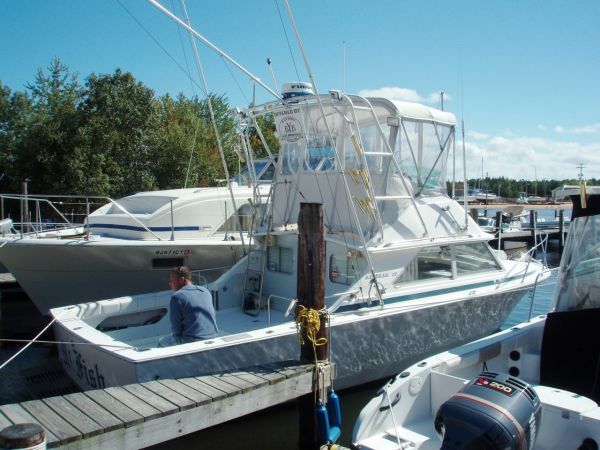 If you need a great sea boat that wont break the bank, this is the one. Call today to arrange a showing.